Swell is a minimalistic collection of furniture for the living room with a playful, light-hearted feel. 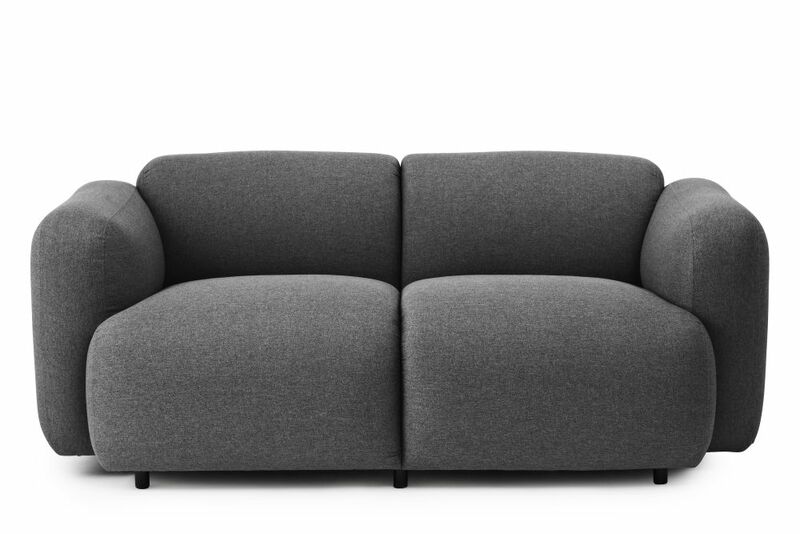 The soft, curved silhouettes give the furniture pieces an inviting look and ensure a fantastic sitting comfort. The name Swell is a reference to rising bread. Swell has a full shape, consisting of a robust padded back and seat and two curvy armrests. The stitching on the back and the seats divides the sofas into sections and completes the feel.